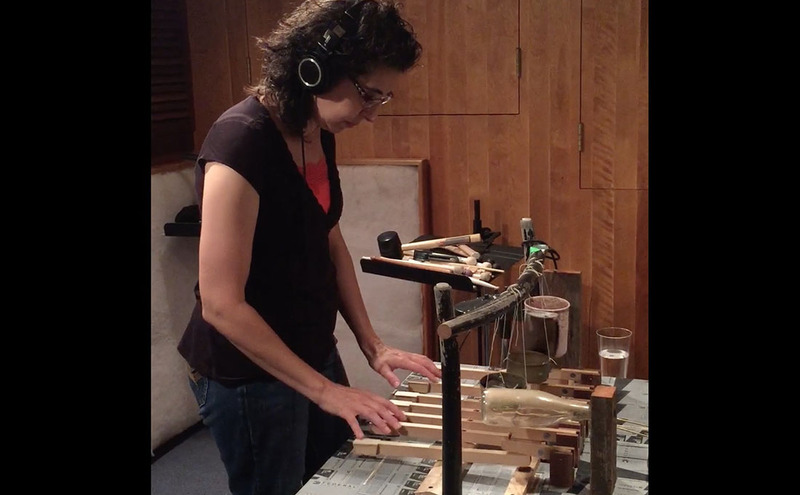 Pianist Paula Cekola recording the Teclata for the Sonic Border museum installation and vinyl record. 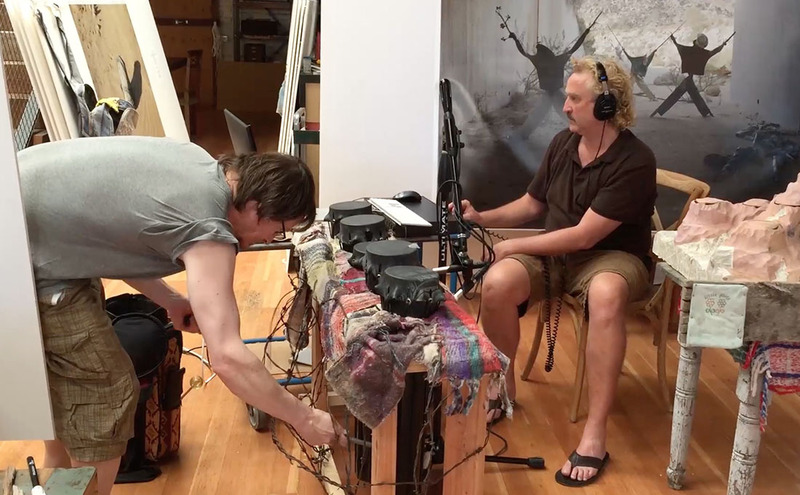 Joel Davel using chopsticks on the Paisaje sonoro during a recording session. 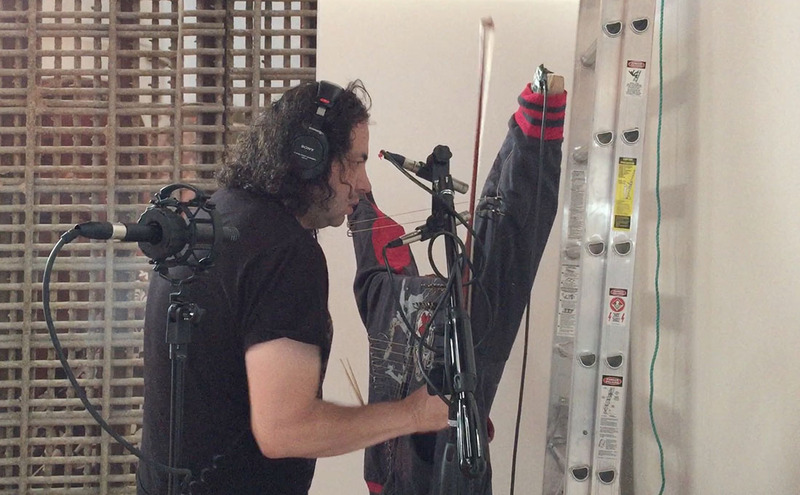 Guillermo Galindo coaxing new sounds from the Efigie in Richard’s studio for the Sonic Border installation. Most texts have been excerpted from Border Cantos (Aperture, 2016); additional texts contributed by Guillermo Galindo and Richard Misrach. Instruments, scores, and musical compositions copyright © 2016 Guillermo Galindo. Individual photographs from Border Cantos copyright © 2016 Richard Misrach. Site by Masumi Shibata Design and Ted Geving. 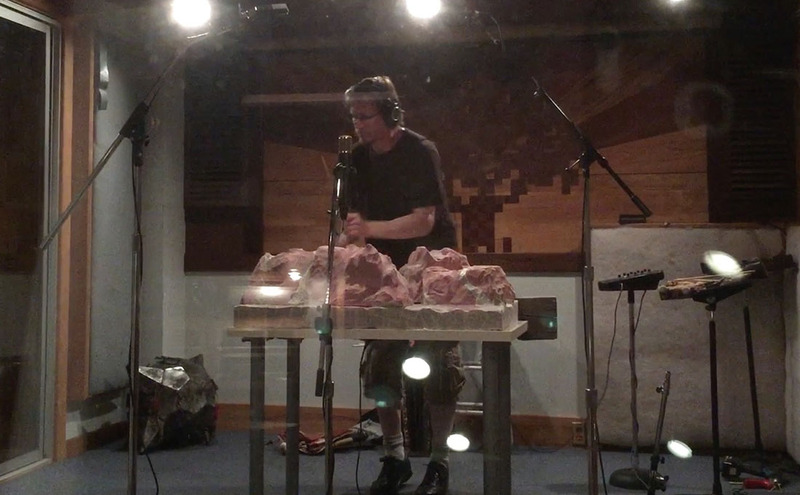 Video editing by Sofía Cordova, Gregory Geiger, and Brandon Tauszik, Sprinkle Lab.